Have a biker on your gift list? These products can make urban cycling even more fun. Photo by Luis Hidalgo/Flickr. Happy Thanksgiving TheCityFix readers! For many of you, it is time to begin the search for the perfect gift for your friends and family before the holidays. If you have a cyclist on your gift list, these biking innovations could make their urban cycling experience easier, safer, and more fun. Demand for sustainable mobility options is on the rise in cities worldwide, and cities are increasingly building new biking infrastructure. 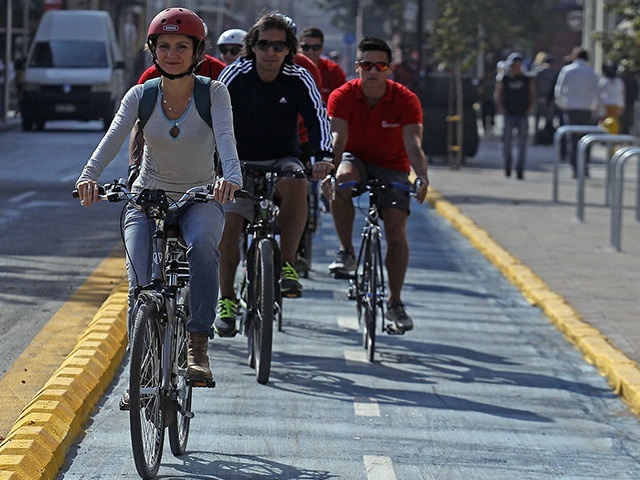 Bike-share systems are growing around the world, and cities from São Paulo to Istanbul are creating new bike lanes. At the same time, innovative new products are making urban biking more convenient and safe, helping to encourage city-dwellers to switch from their car to their bike. These bike innovations are so cutting-edge that they are only available to pre-order, but even pre-ordering these devices would make any of your biking friends and family very happy this holiday season. Ever wish you could speed up your bike commute or make it uphill without spending so much effort? The Copenhagen Wheel – created by Superpedestrian – attaches to the back wheel of bicycles to multiply cyclists’ pedaling power 3-10 times. The Wheel is responsive to bikers’ pedaling behavior, pushing with increasing power as riders pedal harder. Have any other innovative cycling products that you are getting your friends and family this holiday season, or ones you hope they are getting you? Share them with us on Facebook!